Sleek angles and premium materials define Alliant as performance sunglasses for police, gun competitors, and shooting enthusiasts. Adjustable ear and nose pads of hydrophilic rubber increase grip as you sweat ensuring a perfect, stable fit. Dolomite 2.0 is a NTOA-tested and recommended full frame with vented arms. Like all Tifosi Tactical models, it sports shatterproof polycarbonate lenses and frames that meet or exceed Z87.1 safety standards. Vero is equipped with Enliven™ lenses that fine tune the wavelengths of light that matter most; making greens, blues, and reds pop with definition. Learn more about Enliven™. 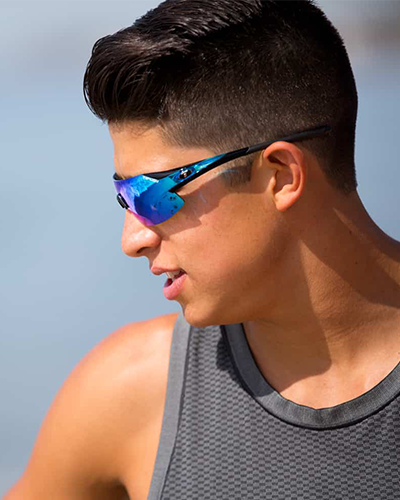 Jet FC is a NTOA-tested and recommended half frame with aggressive styling. Like all Tifosi Tactical models, it sports shatterproof polycarbonate lenses and frames that meet or exceed Z87.1 safety standards.